February 12, 2014 by iCepts Technology Group, Inc.
Microsoft Dynamics NAV is a complete Enterprise Resource Planning (ERP) solution and the continued development of this popular system continues with the new release of Dynamics NAV R2 with new application changes and web services enhancement. Her are some of the new Cash Management changes in NAV 2013 R2. The Payment Registration window shows incoming payments as lines that represent sales documents where an amount is due for payment. The window is designed to support you in tasks involved in balancing internal accounts with actual cash figures to ensure effective collection from customers. You can quickly verify and post individual or lump payments, initiate finance charges for overdue payments, process discounted payments in different scenarios, and find specific non-posted documents for which payment is made. For more information, see the “How to: Process Payments Manually” topic in Application Help. You must routinely apply incoming and outgoing payments made on your electronic bank site with the related business documents in Microsoft Dynamics NAV and then post the applied payments to customer, vendor, and bank ledger entries to settle your payables and receivables accounts. To quickly process payments based on bank statements, you can use an automatic application function in the General Journal window and you can specify rules that map payments to debit or credit accounts according to text found in the payment description. For more information, see the “How to: Apply Payments with Open Documents” topic in Application Help. At regular intervals, you must reconcile your bank accounts in Microsoft Dynamics NAV by matching bank ledger entries resulting from posted payments with the related transactions on your electronic bank site. You can use either an automatic or a manual matching function in the Bank Acc. Reconciliation window to reconcile bank accounts. The window is divided into two vertical panes for easy matching: Bank statement lines in the leftmost pane and bank account ledger entries in the rightmost pane. For more information, see the “How to: Match Bank Statement Lines with Bank Account Ledger Entries” topic in Application Help. With your customer’s consent, you can collect payments directly from the customer’s bank account according to the SEPA standard for direct debits. For more information, see the “Collect Payments with SEPA Direct Debit” topic in Application Help. 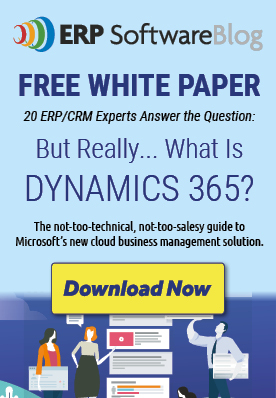 Visit our Microsoft Dynamics NAV Information Page:. Give Me Five Promotion is Back and Better!